Beautiful designs, fully-customisable for your own powerful messages. "Great designs, and so easy to make my own. Our Lobster evening was a roaring success"
Complete sets of print for all hospitality. If you don't see exactly the item or design that you need, all you have to do is to call our Bespoke team. It is that easy. Print for Inside or Outside? 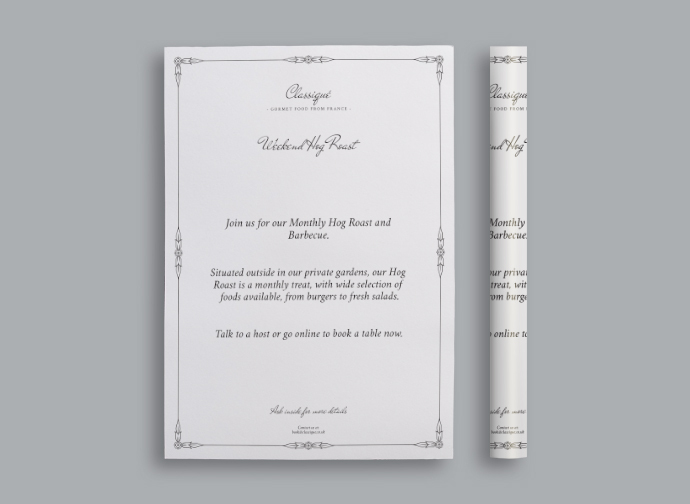 If your Print Waiter posters are for indoors, use Luxury paper stock. If they are for outdoors, you might want something that is a bit more weather-proof so we recommend our Chef-Safe stock. 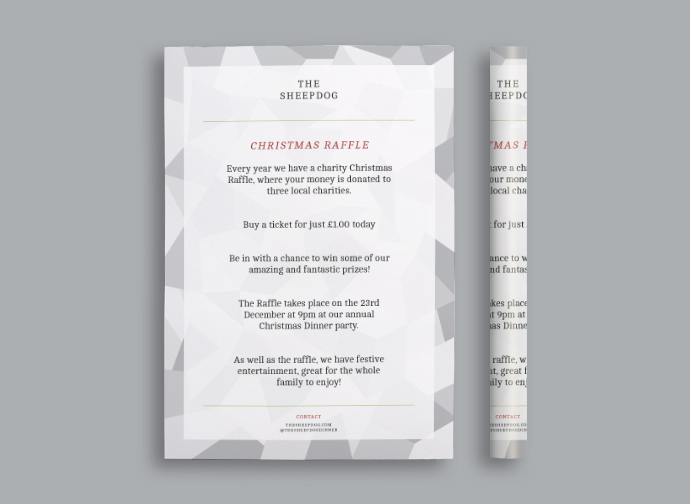 A stylish poster design for the purist that looks great in contemporary restaurants and bars. 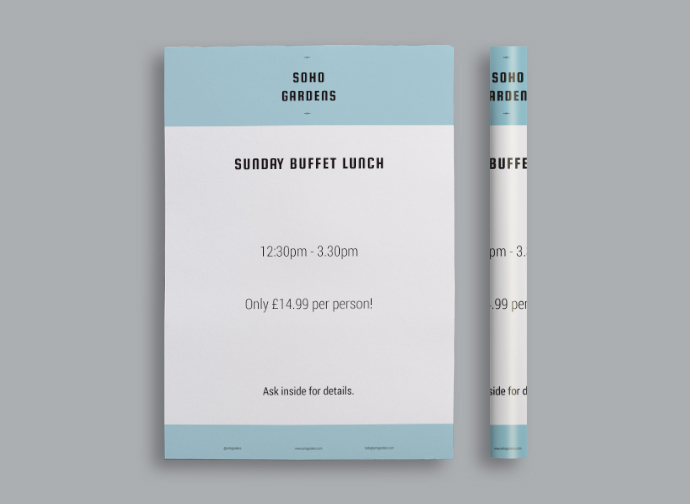 The LadyBower Restaurant - A dignified poster design that speaks volumes for your restaurant, cafe, bar or hotel. 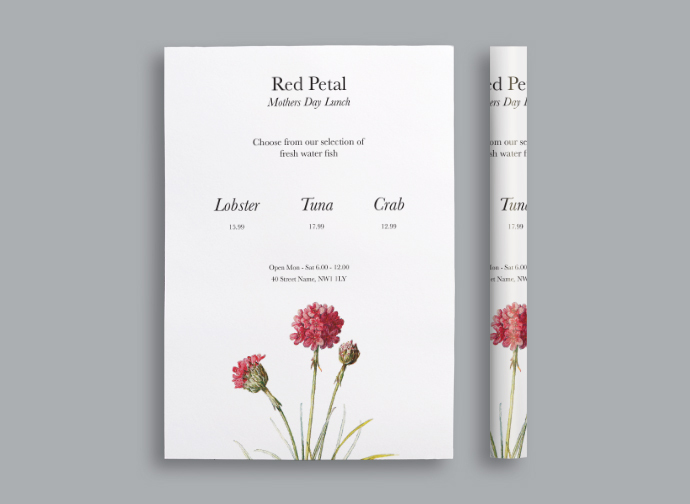 This stylish Mother's Day poster is perfect for quality establishments with a perfectly balanced menu. Classiqué – This crisp poster design features a flowing font and floral border for refined dining and drinking establishments. An abstract fragmented ice poster design that really stands out for festive drinks or meals. 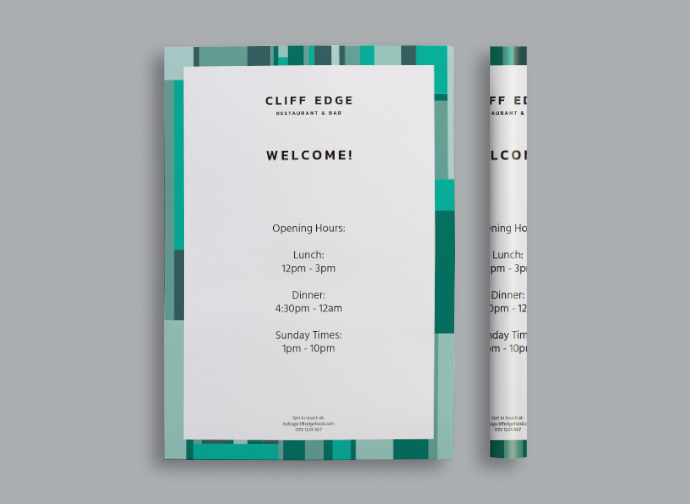 Geom Turquoise – This bold tri-tone poster design gives a 3D effect and is ideal for modern eateries and bars. 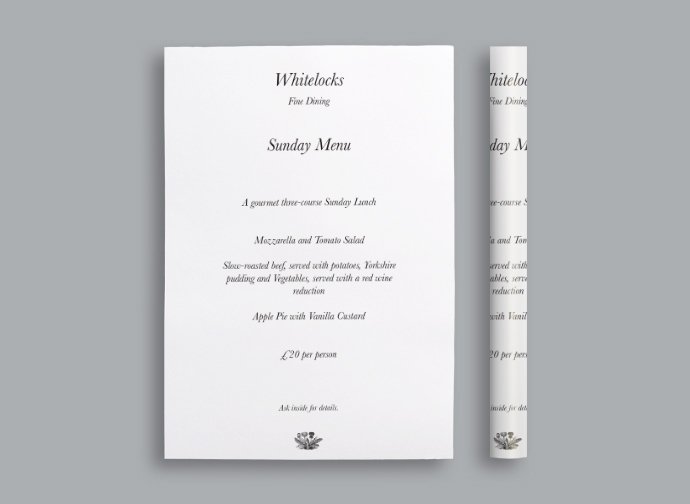 Whitelocks – A classic clean poster design with a discreet flower motif for elegant bars, bistros and restaurants. 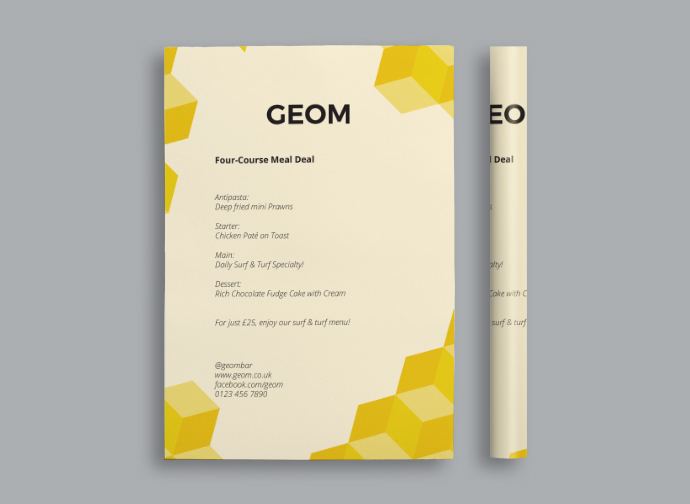 Geom Yellow – This joyous tri-tone poster design gives a 3D effect and is ideal for modern eateries and bars. 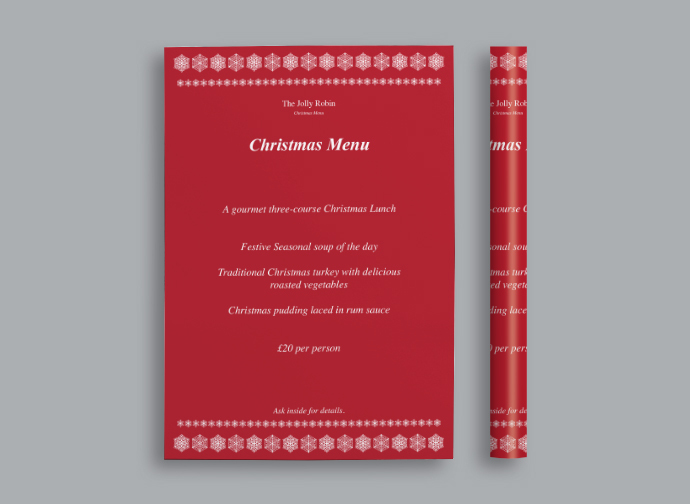 A wonderfully warm and festive red poster design that's ideal for almost any establishment this festive season. Geom Green – This smart tri-tone poster design gives a 3D effect and is perfect for modern eateries and bars. 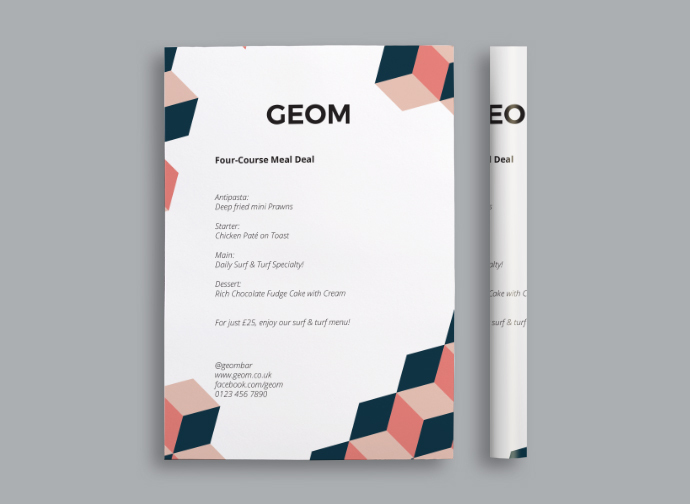 Geom Autumn – This warm tri-tone poster design gives a 3D effect and is ideal for modern eateries and bars. Geom Pink – This vibrant tri-tone poster design gives a 3D effect and is suited to modern eateries and bars. There is no such thing as bad publicity, not with Print Waiter posters.